Ideologies hinder science and movement. They must be "cleaned, discarded" and replaced by scientific sociocybernetic integral knowledge. Four spheres of PIOT creation: Social, Informational, Organizational, Technical - SIOT spheres (same as in 1, 2 and many others). Four classes/Spherons employed in the SIOT spheres by the PIOT production: Sociospheron, Infospheron, Orgspheron, Technospheron - SIOT classes/spherons (Parsons, Maturana, Giddens, Semashko, etc.). Each of s/elements is EQUALLY necessary as a productive element, because the absence of ANY of them makes the life of society/human impossible. But only one of them - SPHERONS/PEOPLE is a living, defining and priority productive force, universal actor creating ALL elements, including oneself (Maturana’s autopoiesis). However the Spherons productive power depends and is impossible without each of the other s/elements. EACH Spheron is the productive force, necessary for the life of every society actor, resource, capital, heart, energy, motor, etc. The Spherons discovery is confirmed by several examples of statistical researches in different countries, which can be reproduced in any country, in any of its institutions and at the level of humanity as a whole in any year of its historical time based on the population census. Sociocybernetics is organically connected with the "harmonic analysis and application" of Norbert Wiener's ideas, which are carried out by the corresponding "Norbert Wiener Center" within the framework of "the broad emerging area of Mathematical Engineering", which "advances the technologies of the new millennium" (http://www.norbertwiener.umd.edu/About/index.html). The sociocybernetics of the structural harmony of spheres and spherons is much pushing the horizon of mathematical engineering in its new spheral technologies, revealing the brilliant philosophical definition of Henri Poincare: "The world inner harmony is the only true objective reality" for all sciences, especially for mathematics. Holistic Objective Law of the equal necessity and sufficiency of the four spheral resources of PIOT (People, Information, Organization, Things) for the life of any community, which determines the equal necessity and sufficiency of the four spheres of social production and genetically is embodied in the deep structural harmony of the four equally necessary and sufficient network Spherons, stochastically employed in the spheres of production. Briefly: The Law of Spheral Structural Harmony (LSSH) or the Law of Spherons (LS). Structural harmony of social production, its highest efficiency and productivity are determined by the structural harmony of the Spherons engaged in its four spheres as their main productive force. Sociological, economic, statistical, and other sectoral scientific knowledge of the Spherons’ structural harmony integrated in their sociocybernetic holistic knowledge, determine the effectiveness of managing/governance the structural harmony of social production. Continuity of social production requires continuous, holistic management of its structural harmony, which in turn requires a continuous, holistic sociocybernetic monitoring of the structural harmony, primarily their statistical monitoring. The integral nature of monitoring the Spherons’ structural harmony requires their integral sociocybernetic knowledge and continuous scientific research, which requires the creation of an integral and independent (Global and National) Academy of Social Sciences subordinate to the continuous production of relevant scientific information and technologies for continuous spheral management of the Spherons’ dynamics into social production system at all levels from global up to local. The quality and effectiveness of continuous management of the dynamics of the Spherons’ structural harmony is determined by the quality of the continuous development of its scientific information produced by the integral Academy of Social Sciences. The law of the sociocybernetic gene modification of pathological societies and civilizations. Spherons as actors of genetic structural harmony are the only makers of non-violent, conscious and harmonious gene transformation/therapy of pathological societies and civilizations. Spherons release them and their governing bodies (governments, UN, UNESCO, UNICEF, WTO, IMF, IOC, etc.) from the pathologies of militarism, corruption, inequality, nationalism, systemic crises, risks and other disharmonies on the base of integral socio-humanitarian scientific knowledge of the Spherons’ structural harmony and through the institution of global spheral democracy, universally replenishing the deficit of structural harmony at all levels. Spherons genetically transform the disharmonious militaristic industrial civilization into a harmonious civilization, adequate to its genome with full preservation of cultural diversity during 50 years of the 21st century on the basis of conscious governance of structural harmony in spheral democracy. (A more concise wording is required). Based on the laws of structural harmony, it becomes clear that its key transition from a spontaneous and ineffective state to a conscious and effective state is possible ONLY on the basis of a global SCIENTIFIC sociocybernetic knowledge of its statics and dynamics. This knowledge provides for conscious control (together with the creation of its organizational and digital technologies) by deep structural harmony at all levels of social production. Governance of the interactions among the spheral elements is a holistic, systemic management of the structural harmony of social production as a whole, primarily the management of its only active / living actor and the first productive force - the Spherons’ structural harmony. From their structural harmony depends the structural harmony of all other spheral elements, as well as all the qualities of social production. The management of structural harmony requires, first of all, a statistical and sociological researches of Spherons at all levels of social production. This management is impossible without these researches and design, which constitute the subject of the relevant business. This global breakthrough of social mega science, management and business is prepared by all of their past development. Therefore, contrary to all ideologies, it will inevitably be recognized for the first time in any advanced country by the creation of a corresponding Business Center for Management/Governance by Structural Harmony, for a start. He will ensure the social production of this country a breakthrough development in all spheres, primarily in the economy and management. The Law of Spheral Structural Harmony (LSSH) or the Law of Spherons (LS), from which all the following scientific conclusions, achievements and discoveries follow. Priority of children and youth through the law "Children's Suffrage Executed by Parents"
Harmonious civilization of spherons on the basis of LSSH: an alternative to the disharmonious industrial militaristic civilization in all its forms of capitalism and socialism / communism, which have exhausted and discredited themselves in history. This is the "third way" of the development of humankind, overcoming the "evil of capitalism and communism", about which Pope John Paul II began to talk at the end of the past and the beginning of the new century. This is now understood by Putin also (see below). Their "evil" is inherent in the "absolute evil of their nuclear weapons" (Avery), which generates the "civilizational crisis of the 21st century" (Avery). Management of spherons’ structural harmony as the crystallization of their scientific consciousness in its pragmatic application in harmonious forms of a new universal business, managerial revolution, digital economy, spheral democracy, global peace education, etc. The thinking of these fundamental achievements and discoveries allows us to overcome the narrowness and limitations of traditional ordinary consciousness, in which we "do not think at all what is going on around us." It provides for the world citizens "self-preservation and the future of our ... generations." This is the ultimate meaning of the Sociocybernetics of spheres and Spherons as a global breakthrough of social megascience. Only on this path is not death waiting for it, as some pessimists predict, but fundamentally a new heyday as a megascience of spheral structural harmony. Naturally, the presented summary of third-order Sociocybernetics is only the first and rude approximation to its integral scientific structure, requiring new and active international and interdisciplinary researches, of which the first is the statistical study of the spherons of different countries. GHA plans them in nine countries in the second half of 2018 and invites all interested scientists to them in other countries (http://peacefromharmony.org/?cat=en_c&key=801). This is a call to those of them who have retained their love for new fundamental discoveries, dozens of dispositions of which are filled with an integral socio-humanitarian knowledge of third-order Sociocybernetics free from any ideological restrictions. All of them are published on the GHA website: http://peacefromharmony.org/. More than 600 sources are named in 4. Of these, the key source is Eduard Soroko. Structural Harmony. 1984. 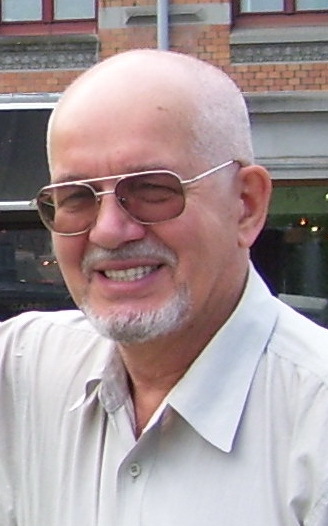 Prof Leo M. Semashko, Ph.D.
State Councilor of St. Petersburg, Russia. Founding President, Global Harmony Association (GHA) since 2005. Honorary President, GHA since 2016. Director: Tetrasociology Public Institute, Russia. Philosopher, Sociologist and Peacemaker from Harmony. Author of more than 400 scientific publications, including 18 books in 1-12 languages. Author of Tetrism as the unity of Tetraphilosophy and Tetrasociology – science of social harmony, global peace and harmonious civilisation. Director, GHA Web portal “Peace from Harmony”. Initiator, Manager, Coauthor and Editor in Chief of the book project “Global Peace Science” (GPS).